Sega recently released a Let's Play video for their upcoming title, Total War: Rome II! 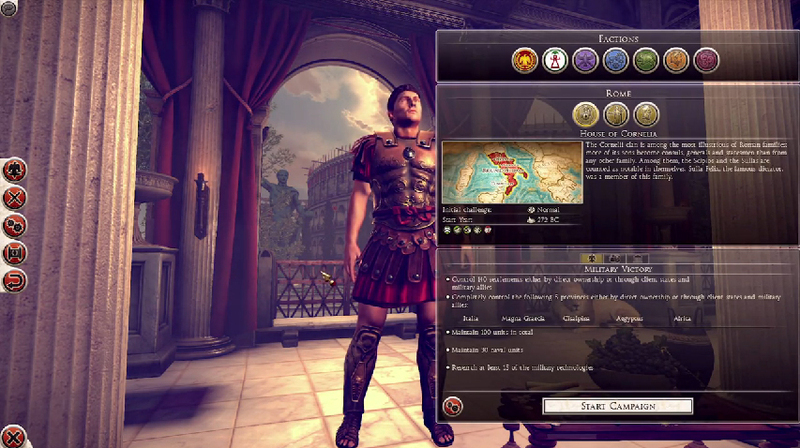 The video focuses on the campaign mode where Trish Ryniak and Campaign Designer Dom Starr from Creative Assembly are discussing factions, diplomacy and the campaign map. Dom talks us through some of the factions, houses and traits and how your starting choice could influence your entire game. Get a glimpse of some of the inner workings of the cities as he has a look around his latest in-progress campaign as Carthage, and we take a peek at diplomatic relations and some of the sworn enemies he seems to have unfortunately made. See the Let's Play video below!